Keeping in mind this was the off-season, the tour was still pretty underwhelming, and later we learned that the cost had been refunded, which was a nice gesture as compensation for what must have been a disappointing day on the Cay for everyone. Being as this was our last day on the ship, we decided not to waste over 2 hours on our dining rotation, so instead tried to find as many activities and shows to enjoy as possible. The first was at 5:45 pm in the Buena Vista Theatre for a viewing of Alexander and the Terrible, Horrible, No Good, Very Bad Vacation… er, Day! This was a hilarious movie and a real treat to see in this onboard theatre! Next we thought we’d do the last of our shopping on board, but we were so discouraged by our trip, we just couldn’t muster any enthusiasm for Disney Wonder/Disney Cruise Line merchandise! So we browsed until it was time to enter the Walt Disney Theatre for the last of the broadway-style shows Dreams An Enchanted Classic. This was the best of the shows we saw and I’ll gladly give it a 10 out of 10. The vacation was thankfully close to ending. In the next, and last, post I’ll share one more post in this series summing up and giving our overall view of the Disney Wonder and cruising in general. You may be surprised by what you read! I’m so excited to be your Guest today at My Dreams of Disney! Mike has graciously invited me to share a bit about Magical Mouse Schoolhouse and how the site got started. So, hi! For those who don’t know me, I am Jodi Whisenhunt, owner and feature writer of Magical Mouse Schoolhouse, a fan site that incorporates the magic of Walt Disney entertainment into homeschool lessons. I cover all the theme parks at both Disneyland Resort and Walt Disney World Resort in the United States, as well as the international resorts and Disney Cruise Line. Movies, music, and special events work their way in sometimes too, because there are infinite ways to learn while you play when Disney IS school! I always loved Disney movies and entertainment, but I never visited any of the theme parks until I was in my 30s and married with children. My husband and I took our three children and my parents to Walt Disney World Resort in 2006 to attend the Ultimate Field Trip, a week of exciting events and activities onsite with hundreds of other homeschooling families from across the country. My kids were nine months, a month shy of three, and 11 years old at the time, and all but the youngest still remember that trip like it was yesterday. The thing all three agree on is that the magic is real! We dined with royalty at Cinderella Castle, took a private, after-hours safari and dinner at Animal Kingdom, and became totally immersed in the magic that IS Walt Disney World. The only thing that disappointed us was that there was no way to take it all in in that one week. Of course, that just meant we had to return again…and again…and again. A few years later, my friend Carol Beth Scott of 3D Travel Company, herself a veteran homeschooler and the creator of The Ultimate Field Trip, noticed that although she and I were already including Disney in our kids’ daily work, there were no resources on the web combining these two passions. She suggested I create a blog to stretch the boundaries of the home classroom. I didn’t want just a common, run-of-the-mill blog, though. That’s not the Disney way! The Walt Disney Company “plusses” everything they do; they take the standard and kick it up a notch. Likewise, with Magical Mouse Schoolhouse I strive to plus not only the homeschool experience, but also the Disney experience. At Magical Mouse Schoolhouse, I publish fresh articles every Monday, covering a particular monthly theme. Each article uncovers educational tidbits that hide in Disney theme parks, Disney movies, Disney art, and more. 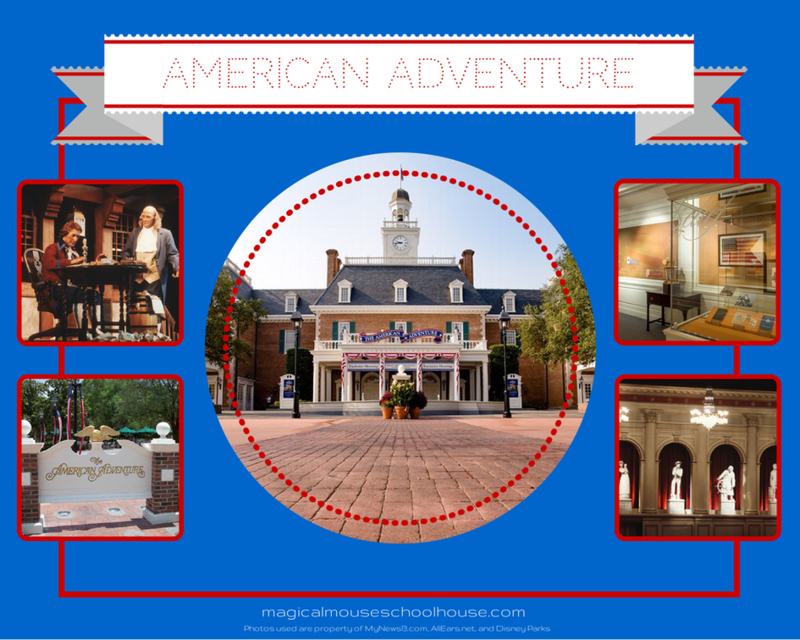 You’ll learn about things like Epcot’s American Adventure Pavilion or Magic Kingdom’s Space Mountain, and at the end of each post you’ll see suggested homeschool activities that tie in to the subject being discussed. You’ll find assignments for various skill levels, from preschool through high school, in subjects such as physics, arts and crafts, and language arts. Who hasn’t dreamed of flying? How often do your kids don a cape or fairy wings and pretend to soar? I mean, all it takes is a little faith, love, and pixie dust, right? Well, at Magic Kingdom Park, you can fly! You can fly! You can fly! Look up! The weather van atop the Peter Pan’s Flight attraction was made to look like the pirate ship from the film Peter Pan. Weather vanes, in general, are instruments for showing the direction of the wind. Most are ornamental and usually include directional letters for north, south, east, and west. 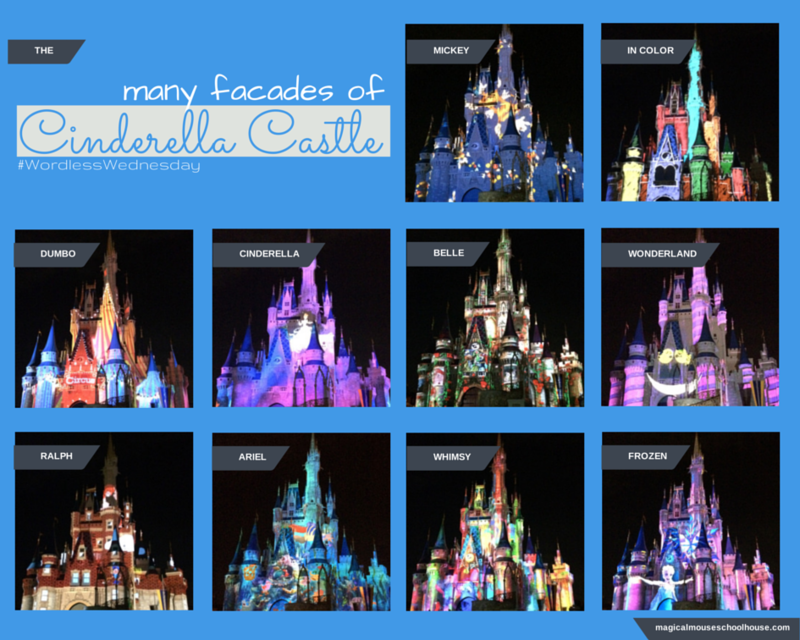 Weekly features include Wordless Wednesday and Tiggerific Tuesday Disney trivia, which until recently was a bloghop co-hosted by Mike here at My Dreams of Disney. Although no longer in linky form, we still enjoy our trivial Disney tidbits. You’ll find giveaways, product reviews, press releases, and other Disney entertainment information throughout each week. I also offer a FREE monthly educational incentive program called Earn Your E.A.R.S. (Enriching Academic Reward Series), in which students who complete each assignment receive a small reward for actively participating in their education. In 2012 I converted blog to book with the publication of MAGICAL MOUSE SCHOOLHOUSE: Learn While You Play at Walt Disney World Resort (on sale for $11.31 at Amazon). The book has been a big success, and a subsequent Disneyland edition is currently in the works. I have found that although the site and book were originally geared toward home educators, anyone with kids in their lives can benefit from what is offered. Parents whose children are in traditional schools tell me they do the assignments to keep their kids from stagnating over the summer. Public school teachers have told me they’ve used some ideas to supplement activities in the classroom. Aunts and uncles and grandparents say they like to pull the book off the shelf to entertain visiting nieces, nephews, and grandkids. As I said before, when Disney IS school, there are no limits on ways to learn while you play! Thanks, again, for letting us visit today! See ya at the Schoolhouse! Keep up with Magical Mouse Schoolhouse’s current events on Facebook, Twitter, Pinterest, Instagram, and Vine.